How often do you consciously notice what you can be grateful for in your life? Throughout the day, is your mind full of thoughts about what you need to get done, regrets about the past, annoyances at others? How often is your mind filled with appreciation for the present moment or gratitude for the positive things in your life? 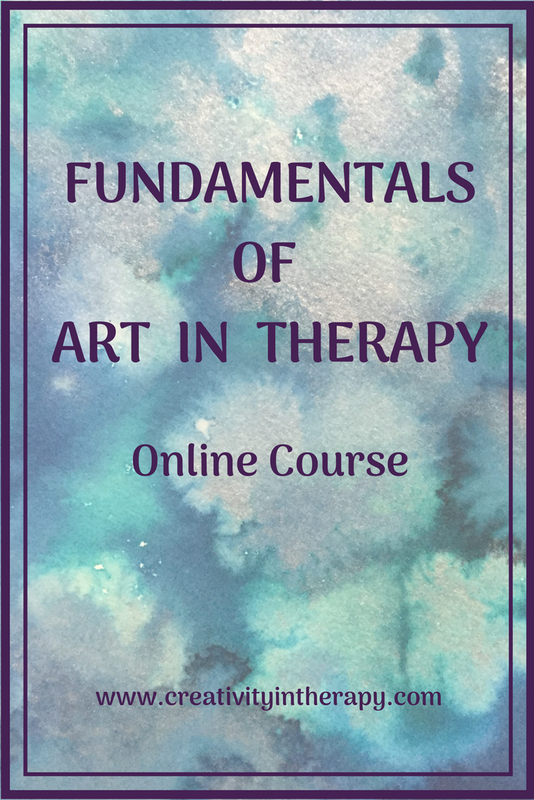 As therapists and counselors, we all understand that what you focus on in your mind influences your feelings and the way you react to the circumstances and events of your life. Starting a conscious gratitude practice is one way to start shifting your thoughts and feel happier. 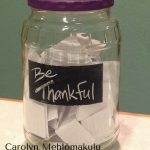 I have decided that for 30 days (starting October 26, 2016 and until Thanksgiving), I will try a daily gratitude exercise by starting a creative gratitude journal. 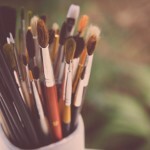 Each day I will make art or create about something that I am thankful for in my life. I’ll also be adding creative gratitude exercises to my teen therapy group for the next month. I invite you to join me! How can you practice creative gratitude for the next 30 days? Get a journal, start a list on your phone, make a note in your daily planner, say thank you to someone every day, or make a gratitude jar. There’s even an app you can try: Happier. 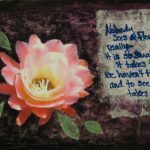 Try to add some creativity to your gratitude practice with art, images, photos, etc. 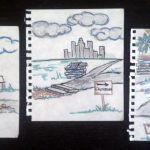 The creative dimension can add an extra richness to the process. Thinking back on my past, who are the people that have supported me, helped me, or given me guidance? What have been some challenging experiences in my life that have made me stronger or changed me in some way? Can I be grateful for those experiences? What are some of the little examples of beauty that I can notice throughout the day? What are some the small things my life that bring me comfort or joy? Who has done something kind or helpful for me today? What are some of the things that I often take for granted in my life? In what moments of my day have I found happiness, peace, or love? In what ways can I be thankful for my body and its health, strength, and abilities? 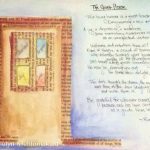 For those of you in the United States, this blog is posting approximately 30 days from the Thanksgiving holiday, making it a great time to really focus on thankfulness and gratitude. If you are reading this blog at another time of the year or from another country, know that you can start a gratitude practice at any time. You don’t have to have a special holiday or group challenge to make this change in your life. Conscious gratitude can help you practice mindfulness. Focus on appreciating what you have and can enjoy in the present moment. Gratitude turns your mind toward the positives in your life, leading you to focus less on disappointments or regrets. Gratitude connects you to something bigger than yourself because it recognizes the goodness in the world that comes from outside of you, whether that it other people, the world, nature, or a higher power. Expressing gratitude to the people in your life improves the quality of your relationships. 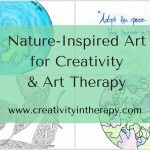 Creativity and art-making increase happiness and decrease stress, so imagine the power of combining them with gratitude! 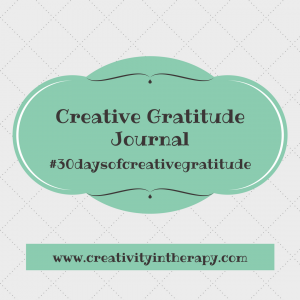 I hope that you’ll join me in practicing creative gratitude for the next 30 days! I’ll be posting on Instagram throughout the month and will also follow-up with another blog post after Thanksgiving. I would love to hear about your experiences! Comment below, send me an email, or post on social media with #30daysofcreativegratitude. Instead of a new post this week as usual, I’ve decided to just share an update on my 30 days of gratitude. So far, I’ve really enjoyed and benefited from this experience. 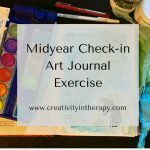 Keeping a daily journal is not easy for me, but I’ve been carrying my art journal around with me so that I can add a note when I have a spare moment or have a grateful thought cross my mind. Some days I have just written and left space to add artwork later; some days I have snapped a picture on my phone to print out and glue into the journal; other days I have had time to do a quick sketch or painting. On some days it has been easy to feel grateful and appreciative for the people, things, and experiences in my life. One thing that that I noticed for myself it that the gratitude journal helped to highlight the positivity of something that would normally feel like and everyday event. Knowing that I needed to be aware of things to be grateful for did in fact make me more appreciative of things and not just take them for granted. One of these things for me was going to early voting. In general, the US 2016 election has made me feel disheartened and frustrated. But thinking with an attitude of thankfulness made me re-appreciate the privilege that it is to be able to vote, as well as the convenience of having early voting. When work at home or as part of my private practice feels like a stressful chore, I have been able to refocus my mind on the gratitude that I have for my home, my family, and running my own business. On some days, it has felt a lot harder to be grateful and appreciative. One day this week I was tired, feeling overwhelmed with things to do, and it was an overall blah, gray day. But my challenge of the creative gratitude journal forced me to stop and think about what I could be thankful for. This was definitely a helpful shift in my day. And I can definitely feel the benefit in my relationships as well. Whenever I start to feel annoyed about something with my family, I have been trying to stop and balance that with a thought of what I appreciate about that person. Although not quite automatic yet, it has become easier as the days go by. 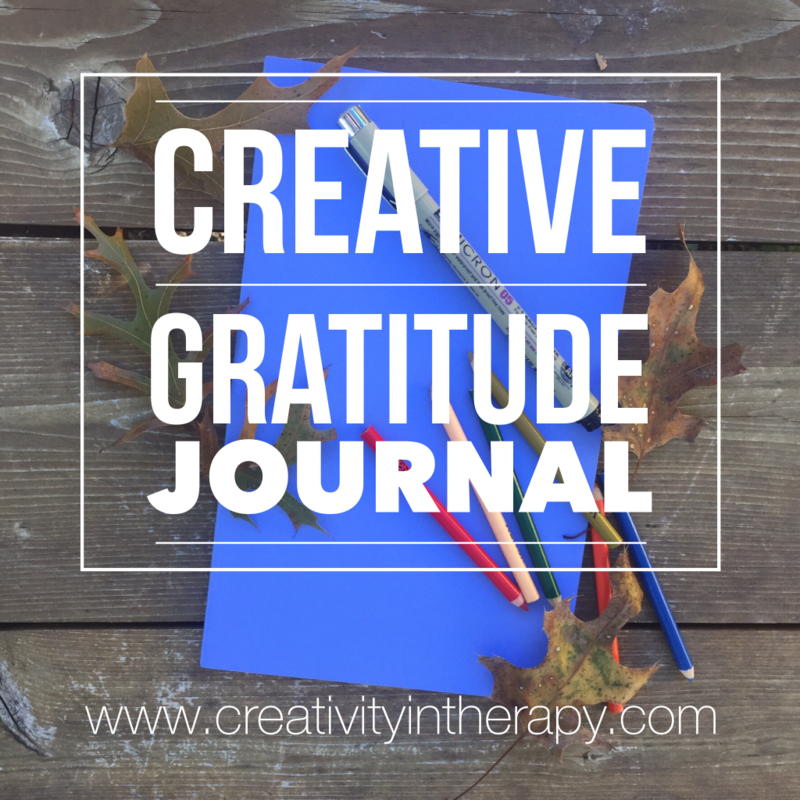 Have you started the 30 days of gratitude or begun your own creative gratitude journal? 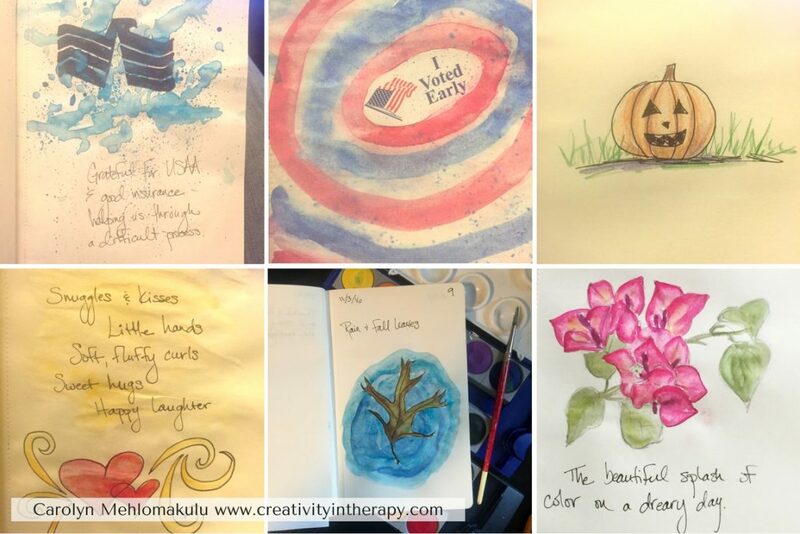 Make sure to share with #30daysofcreativegratitude, tag @creativityintherapy on Instagram, or put a link in the comments below so that I can see what you’re up to. Emmons, R. A. & McCul­lough, M. E. (2003). Count­ing bless­ings ver­sus bur­dens: An exper­i­men­tal inves­ti­ga­tion of grat­i­tude and sub­jec­tive well-being in daily life. 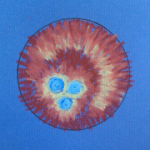 Jour­nal of Per­son­al­ity and Social Psy­chol­ogy, 84, 377–389. This blog includes affiliate links (see full disclosure here). If you’d like to help support the blog without any extra cost to you, please click through on links and shop as you normally would. Your support is greatly appreciated! 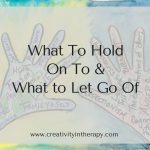 How do I create “Pace Yourself” with a teen client?